Björn is hosting the final prompt of 2018 this weekend and he tells us he’s been reading Anthony Burgess’s novel, A Clockwork Orange, which was written in an invented slang called Nadsat, a mixture of English, anglicised Russian and Cockney rhyming slang. Björn’s prompt is to write a poem in slang: we can use slang we know well or create it from another language (or several) we know, include some rhyming slang, or even write a poem in Nadsat, making sure it’s written in such a way that it can be understood from the context of the poem. I decided to write mine with some back-slang, which we used to speak at school and thought the teachers didn’t understand. I had to laugh to myself when I was a teacher and some children tried to use it in my classroom; their faces were priceless when I joined in fluently! If you don’t know how to use back-slang, just take a word, move the first consonant sound(s), ‘w’, to the end and add ‘ay’ to make ordway. See if you can work out what ‘to go Pete Tong’ means in Cockney rhyming slang! Posted in Poems. Tagged Back-slang, Big Ben, Clockwork Orange, Imaginary Garden with Real Toads, New Year's Eve. New Years Eve is a noisy affair here also. 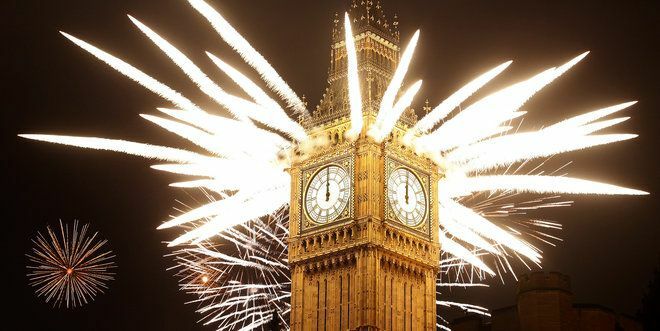 But we have no Big Ben but plenty of fireworks. I too thought of Pog Latin, I’m glad you had the nerve. It worked out good for you. APPYHAY EWNAY EARYAY, IMKAY !!! What fun you had with the prompt!! It’s a fun prompt, Annell! Really playful take on the prompt. I’ve always been intrigued by the use of back-slang, syllable-replacement, and pretty much any type of modified coding… especially when done by children. They learn it so fast. I love the magic of it. From your poem, I absolutely adore “irefay”. The images in conjures. Something like a really angry fairy creature, which is a fantastic description of fire. I also like the last line, not just because it’s true, but because it goes perfectly well with your note and it made me chuckle. I learned another version of back slang… (the language of p) you double every vowel and put a p between… so sun would be supun, I actually grew “fluent” in that one. A wise move, leaving the partying to the kids. Not sure about letting them take over the house, depending, of course, on how old they are. they are old enough to be responsible 18 and 21. Love your poem. We called it Pig Latin. Fantabulous annyo to you and hubs. Viddies and chupper for me and hubs. Hugs. I also know it as pig Latin. Thank you, Toni, and New Year hugs to you both too! I worked out quite early that welcoming in the new year was not a profitable exercise. Having never been kissed by a crush of nubile maidens at the strike of midnight. Luckily when married my wife was more interested in bed that rowdy goings on!